This here is the sitting room. 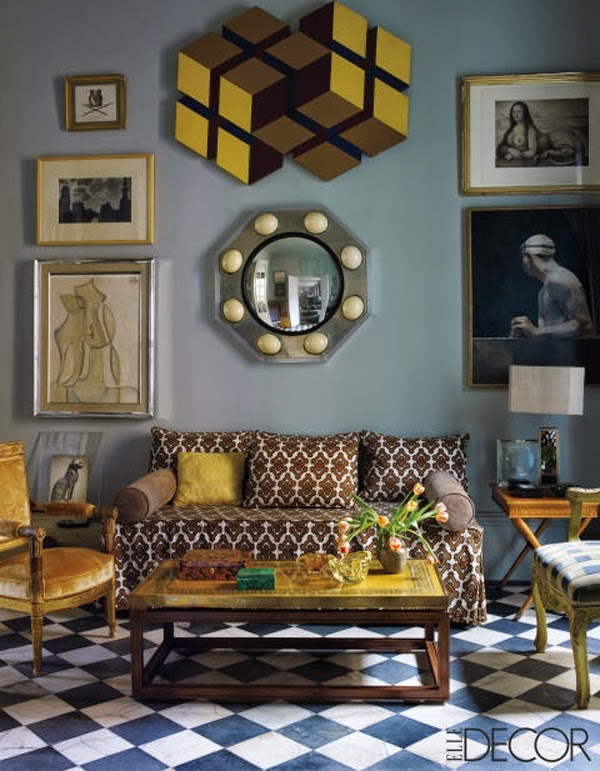 Above the sofa hangs a steel and ostrich egg mirror and a piece by Jose Maria Yturralde. His works are simple and complex at the same time. Oh how I would love to own one of his works! 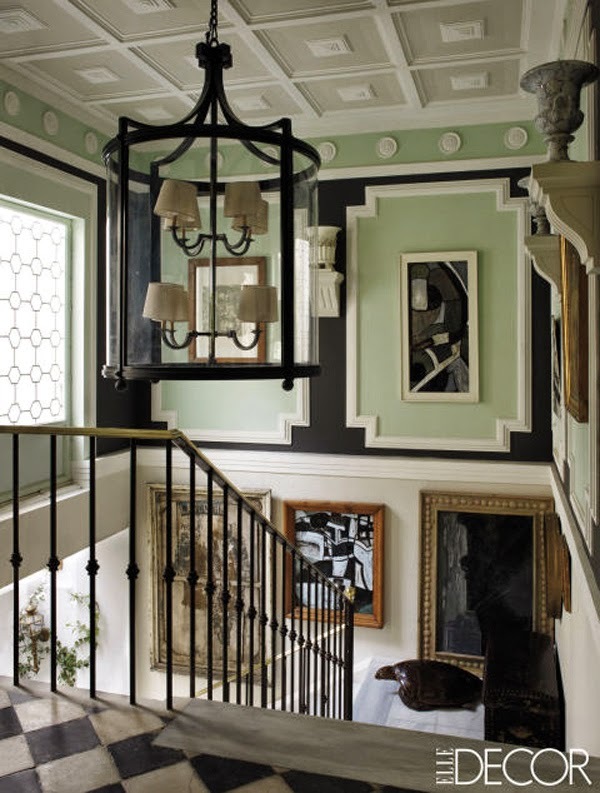 Below is the entrance hall. This here is the drawing room. I love the effect of the Japanese screen behind the daybed. This monochromatic blue look is what I want in my living room. Any room with a tapestry by Rubens will look rich and luxurious. 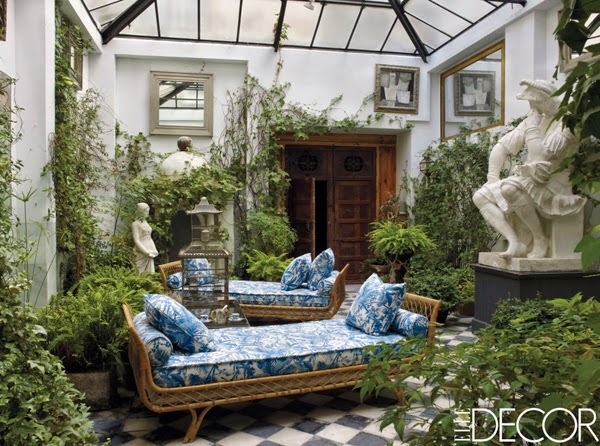 One might think it would be intimidating to decorate around that but I love how Castillo upholstered the sofas simply in white with blue piping. They lend for a resting place for the eye, kind of like a palette cleanser after a heavy meal. 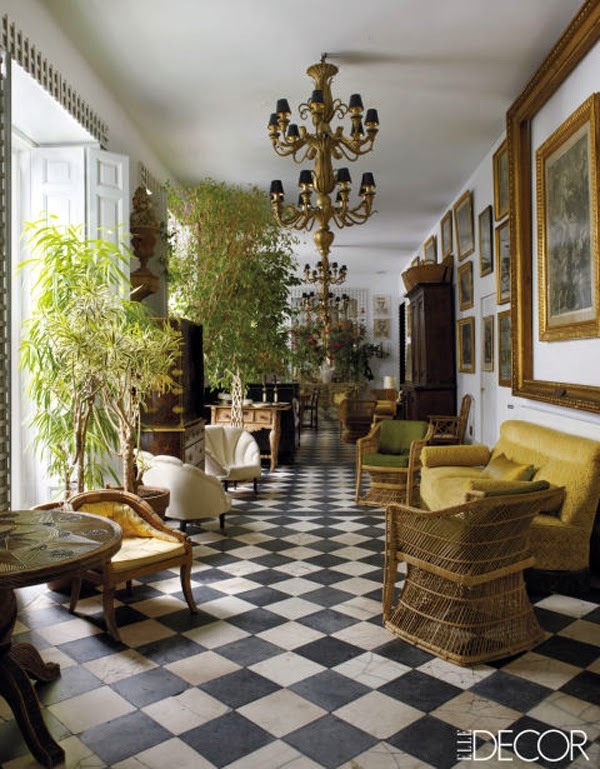 The floor, 18th-century marble- and-slate-tile, and the chandeliers! Oh my! What an intricate space with the offered ceiling and moldings. I like how he comfortably hangs art in different sizes and shapes throughout. The touch of green is unexpected. 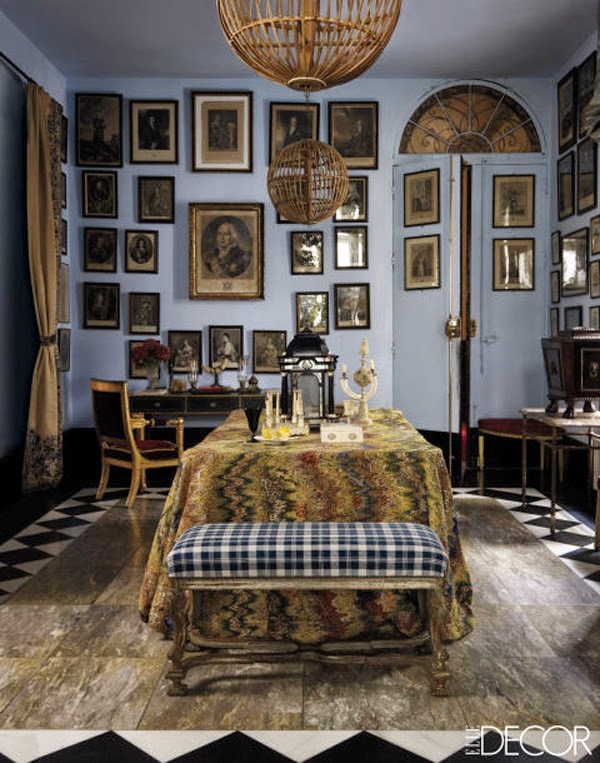 This is one of the rooms he changed a bit. 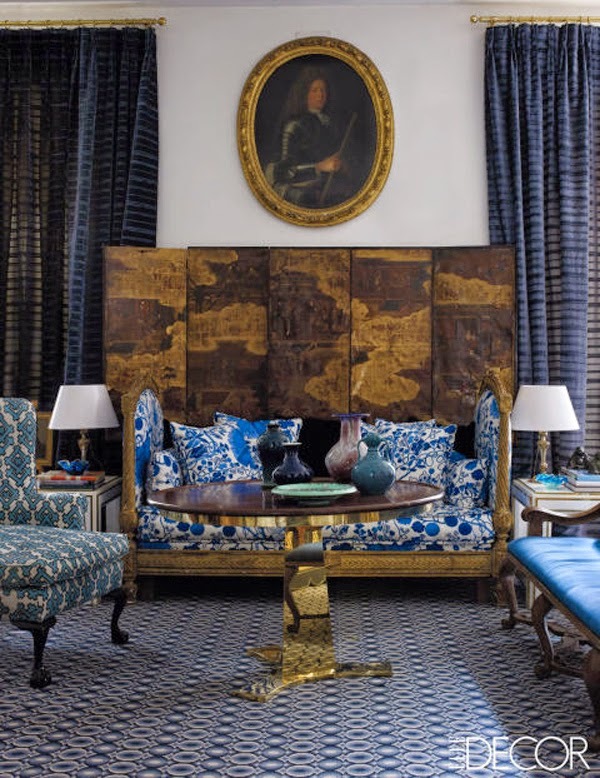 The gold table by Garouste & Bonetti table between the chaise longues is feminine and delicate. Perfection. 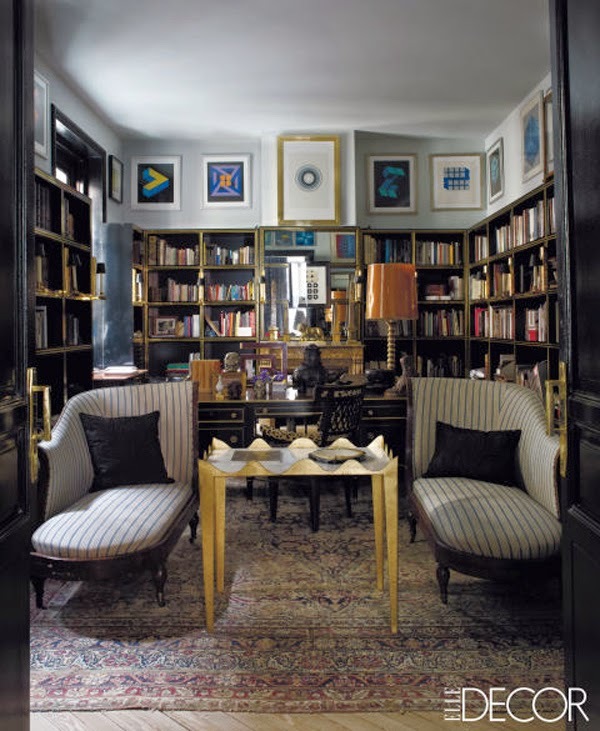 And the art above the books, by Yturralde and Vasarely, is wonderful to draw the gaze up and around. It makes the eye really study every corner. 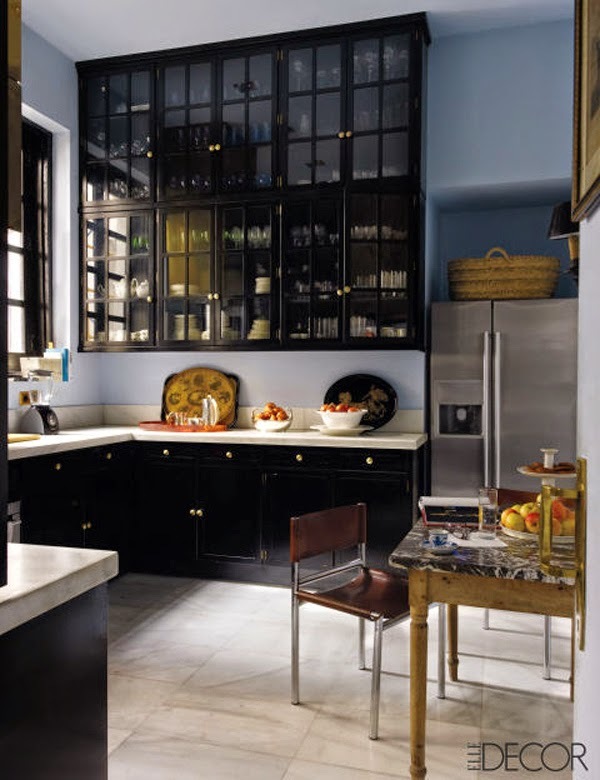 This blue and black kitchen is heavenly. This perfect blue is Farrow & Ball's Lulworth Blue. 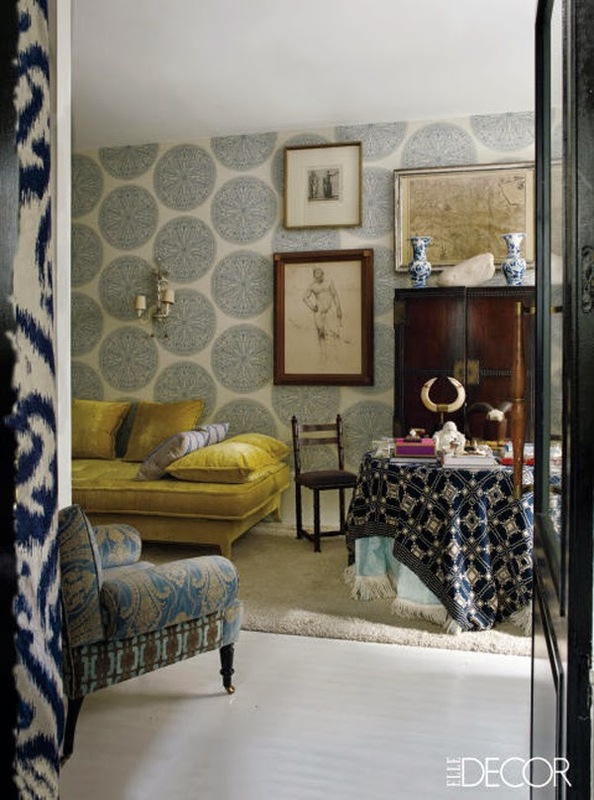 The yellow daybed upholstered in a yellow Rubelli velvet is fabulous, and the wallpaper is by Sanderson. 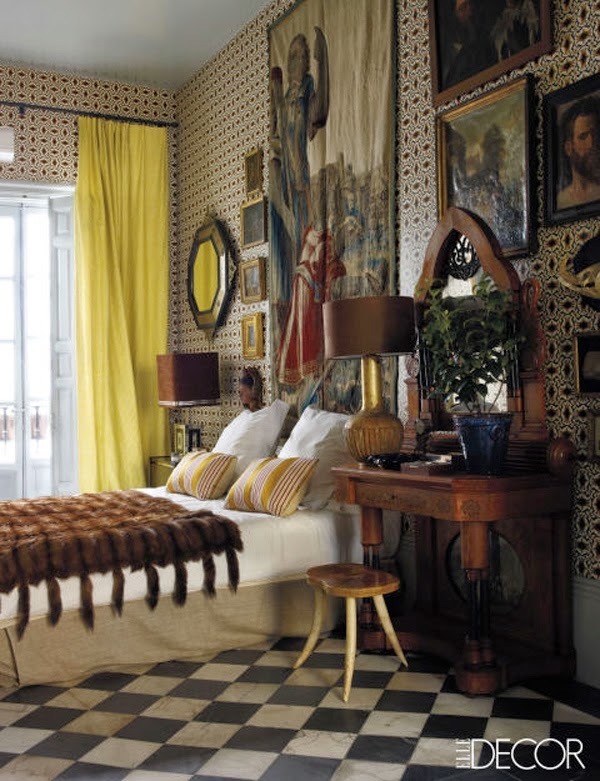 I have always loved yellow drapes. And here above the master bed hangs another Rubens tapestry. The browns, yellows and golds here are glorious. This daring red guest bedroom is so powerful. He has here another Yturralde work, with Sanderson wallpaper. This is another flawless monochromatic look. The checkered curtains work beautifully and surprised me. WOW, right? Lorenzo Castillo has such a fine eye and so much talent. His choices are bold and confident and really create an impact. Are you a fan? gorgeous Albertina! It feels perfectly curated and has so much character! The biggest fan - every room is pure perfection. 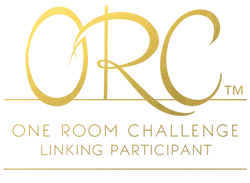 So excited for your trip…can't wait to follow along!! Albertina, every room is so beautifully designed, layered and collected. 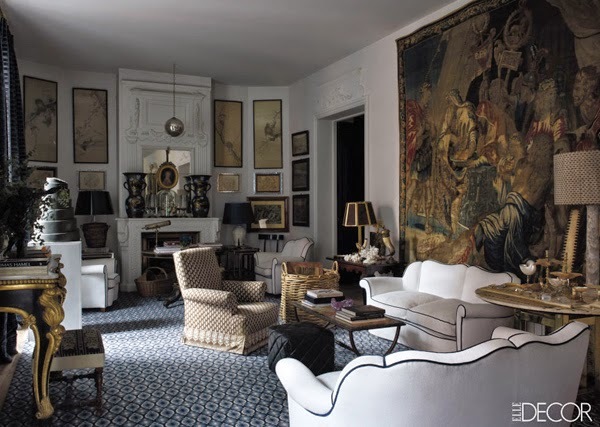 I love the white piped sofas with the tapestries and dark wood. 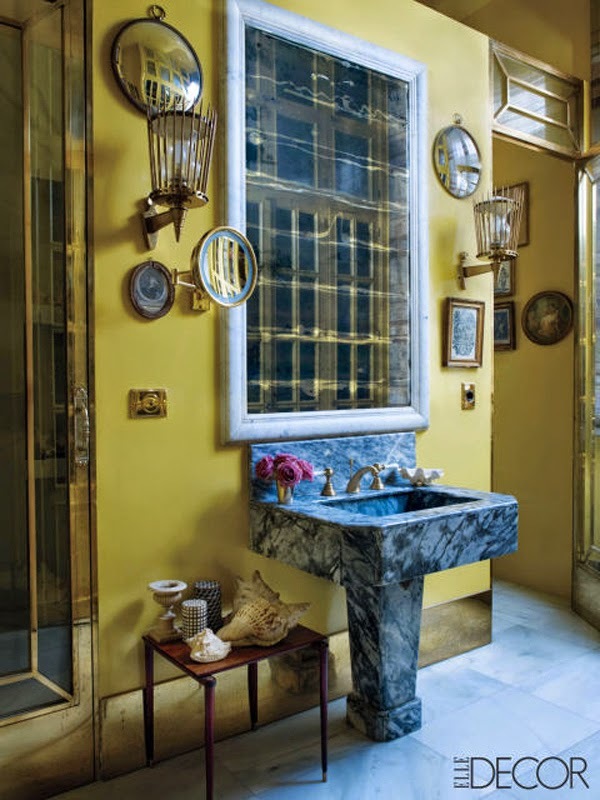 The yellows add that touch of freshness. So thrilled about your trip!